Returning items are an inevitable part of doing business. For Marketers returns have been viewed only as a negative. Today a2b Fulfillment has a seamless returns process that can actually help you lower costs, establish greater customer loyalty and create a revenue stream. a2b Fulfillment introduces “Returns to Profit” an innovative concept to make logistics easy for your company. Returns process is streamlined, so customers will be satisfied with a service that allows them to mail orders back easily and receive their money quickly. No more special trips to the post office, UPS, FedEx. No more standing in line. 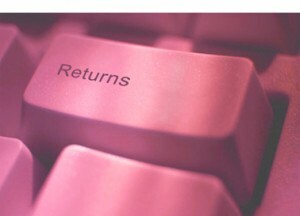 Customers who are satisfied with the returns process are more likely to place trust in the company and buy again. They’ll be less likely to write negative feedback online, which is a crucial component for your company’s reputation management. The returns process for the customer is simple. With a2b’s “Returns to Profit”, a prepaid return label is sent with each order. This gives them flexibility with mailing their packages, including dropping them off at the post office or mailing directly from their house. Email notifications are sent to the customer at key points such as when their package is en route and when it arrives back to the facility. This directly translates to fewer customer service calls – and lower costs – for your company. The prepaid labels program is 53% less expensive than the traditional method of returning using UPS Call Tags. Your company will be able to reduce postage and freight costs, creating another source of savings and streamlined logistics. To help you save even more, a2b’s team of specialized staff will sort returned products for what can be re-stocked and sold, and determine which returned products can be refurbished, reused or recycled. By reusing what we can, you save money on inventory costs. a2b’s “Returns to Profit” program is a viable solution for saving on return postage costs, customer service costs and inventory costs, thus reducing the absolute cost of returns AND generating more revenue for your business. Differentiate your company through your returns process and establish greater customer loyalty and satisfaction. More Information on a2b Fulfillment: Based in Greensboro, GA, a2b Fulfillment offers a strategic location for economical warehousing and logistics services. The Southeast US location allows for faster delivery and lower overall freight costs for a national shipping program. Canadian fulfillment is provided through our Toronto warehouse. Warehousing, Order Fulfillment, Order Management, Customer Service, and Returns Processing / Refurbishment programs are available on both Business to Business and Direct-to-Consumer platforms. For more information, please call 866-843-3827 or email sales@a2bf.com .